A Mullaitivu mother died yesterday still in search of her daughter, who was disappeared during the final stages of the armed conflict in 2009. Saraswathy Velu, from Mankulam, Mullaitivu, last saw her daughter, Parvathi, in Mullivaikkal. She had been searching for her daughter, the fourth of her children, ever since. Saraswathy's first three children were LTTE cadres who gave their lives to the Tamil struggle. At least twenty people who had been campaigning for answers over their missing children have died without knowledge of their loved ones. 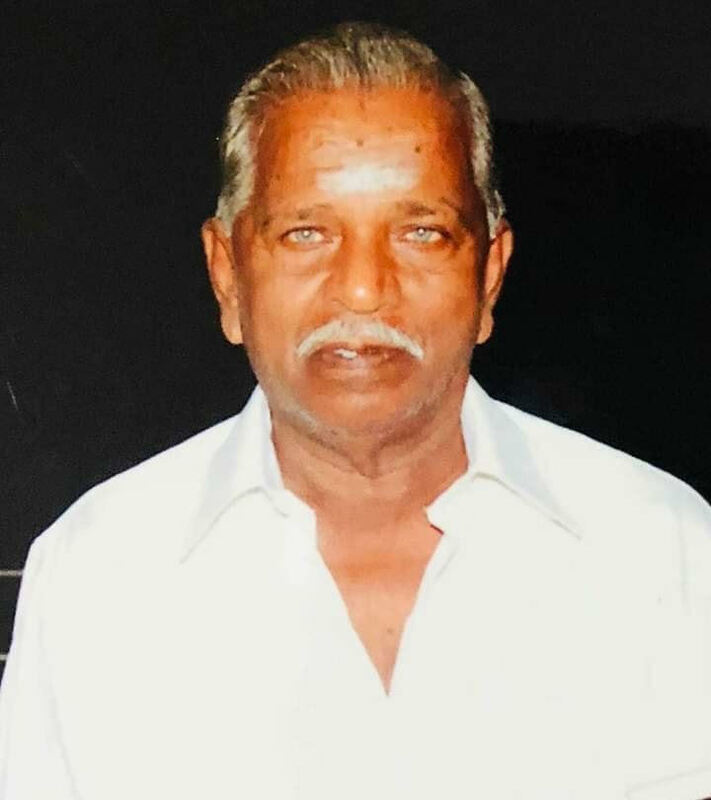 Last month Vijayaluxmi Shamugaraja, aged 68, from Thevipuram, Mullaitivu died. 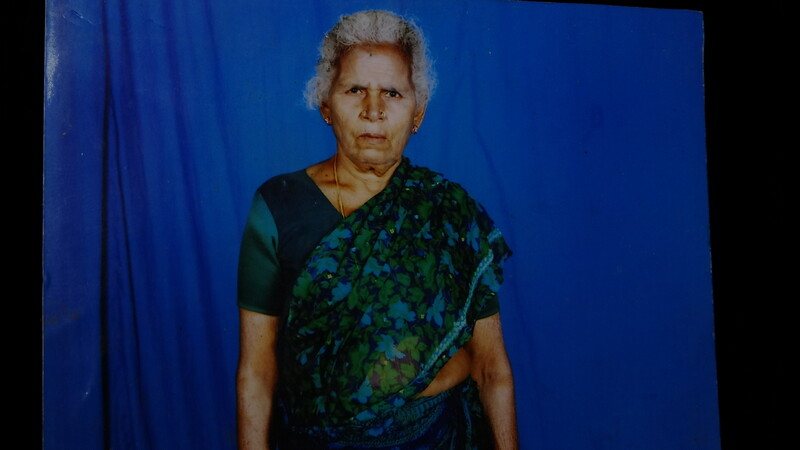 She had been searching for her son, Shanmugaraja Arjun, who surrendered to the army in May 2009, at Valaincharmadam. 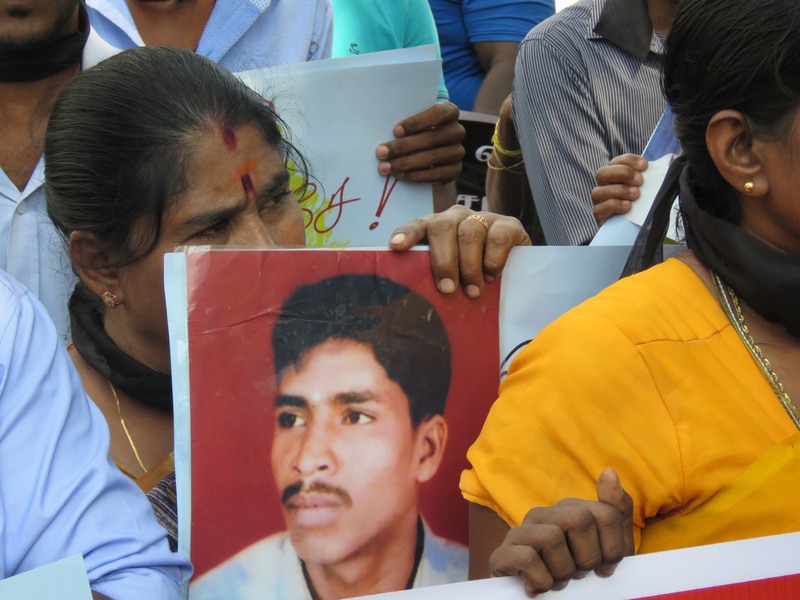 In December, the mother of a Tamil journalist disappeared in 2007 died, following the death of her husband less than a month earlier. The couple had been actively seeking answers for the disappearance of their son, Subramaniam Ramachandran, until their last days. 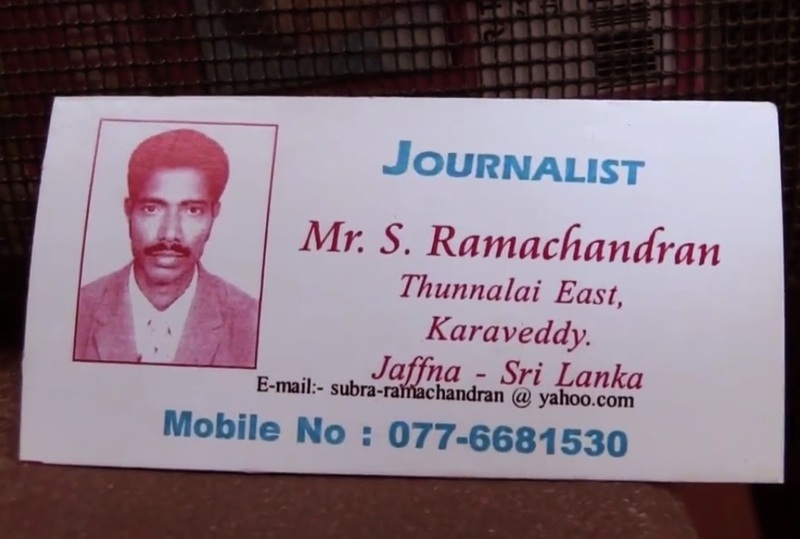 Ramachandran, a local correspondent for both the Yaal Thinakkural and Valampuri newspapers was disappeared in February 2007 inside a Sri Lankan army camp in Vadamarachchi. In November, the father of the LTTE's political head for the Trincomalee district, Sasitharan (alias Elilan), died yesterday yearning for his disappeared son. Elilan was handed over to the Sri Lankan army by members of his family during the end of the armed conflict in 2009. His father has been searching for his son since then along with Elilan's wife, Ananthy Sasitharan.